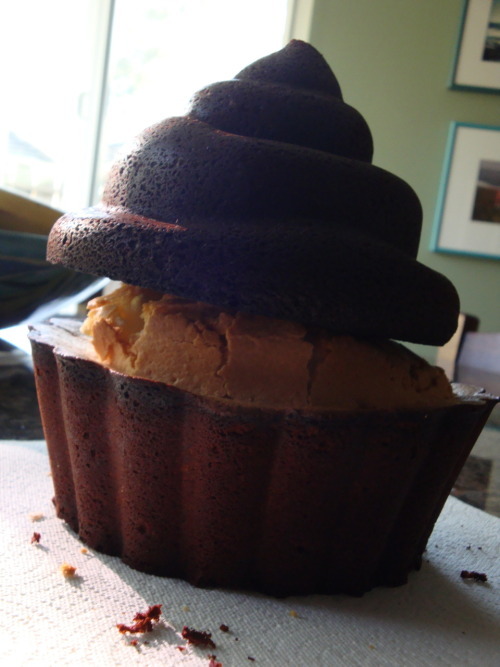 My first attempt at The Giant Cupcake from William Sonoma. Chocolate top. Overcooked pound cake on the bottom.